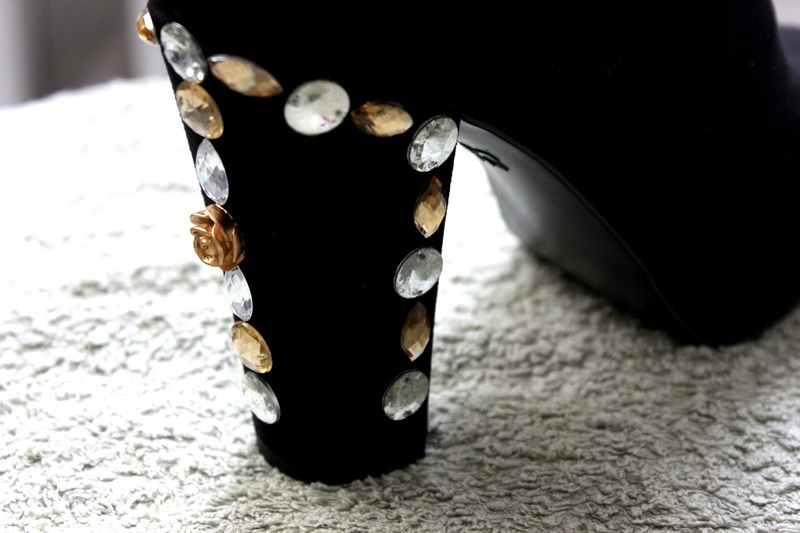 I have been so excited to share with you my DIY project. 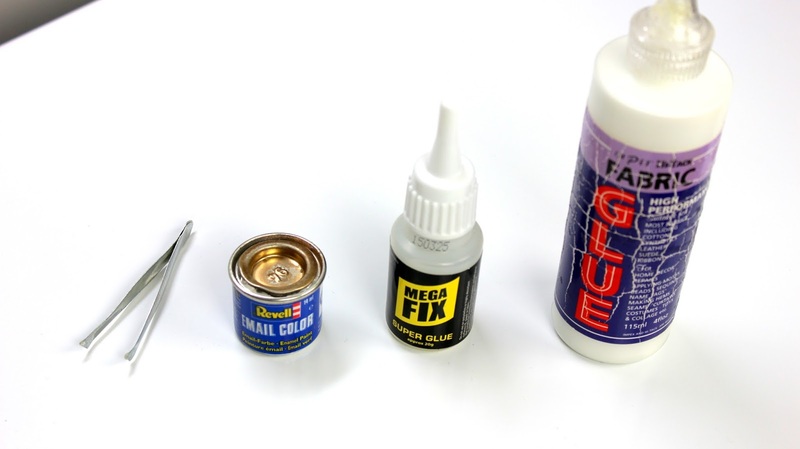 If you have been following me for a while then you may remember that I mentioned I was planning a big DIY project since my birthday last year, but I hadn't gotten round to do it until now. So you can imagine my excitement now I have accomplished it. 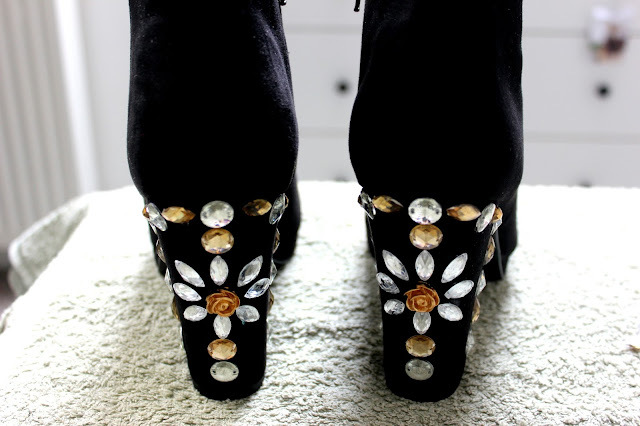 Anyways, the big DIY project of mine is a recreation of the gorgeous Dolce & Gabbana embellished boots which cost around £600-£900. 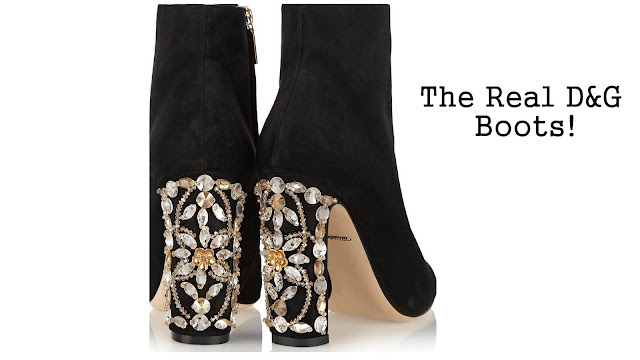 I have been in love with these since I spotted these on the A/W15 D&G runway. 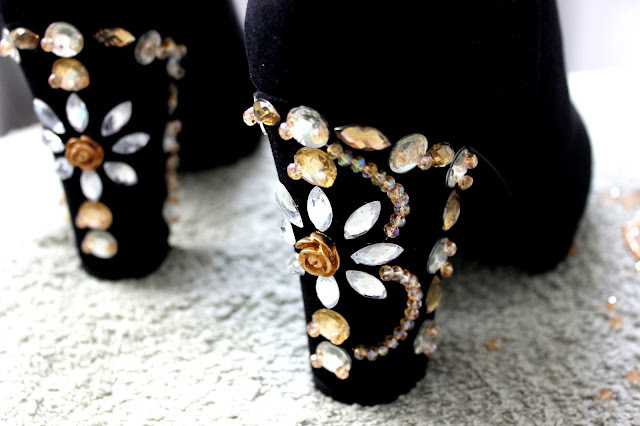 So I had to recreate them because there was no way I could afford the real ones! 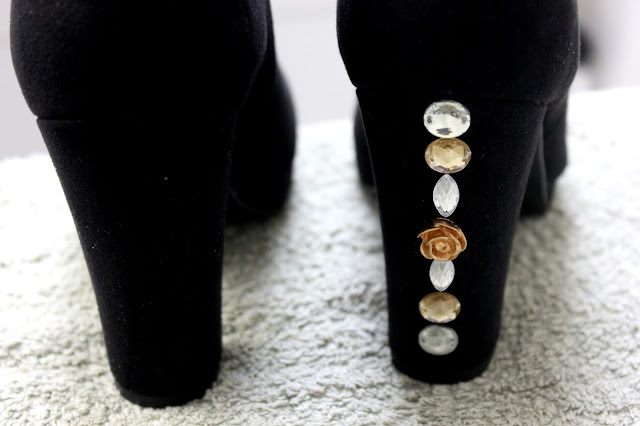 Step 1 Marking out the center and edges pattern: Start in the centre of the heel and work your way down before working your way around to the edges of the heel with the above rhinestones. 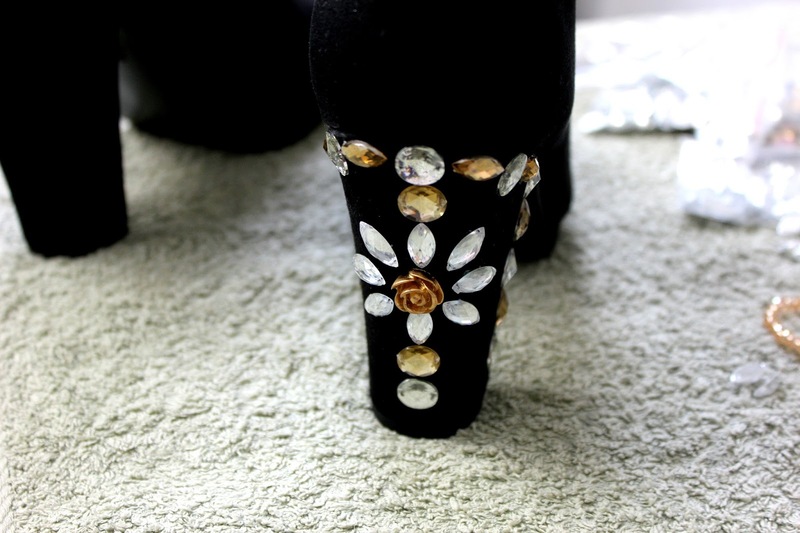 Step 2 Creating the flower: To create the flower look, apply an additional 3 to the left and 3 to right of the center flower embellishment. 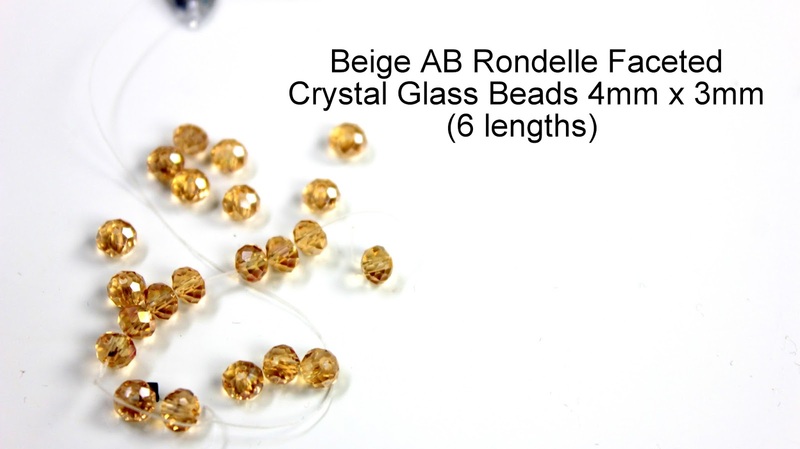 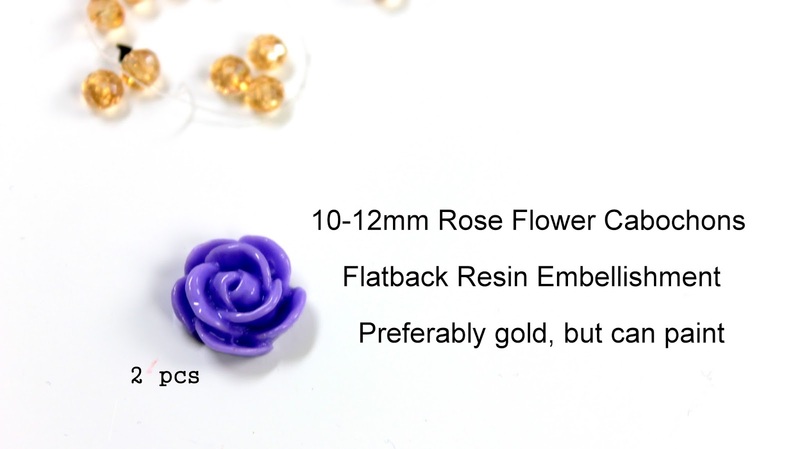 Step 4 Placing individual beads onto clear round resins: With the excess beads that you cut away from the chain use these to stick onto the edges of every individual clear round rhinestone. 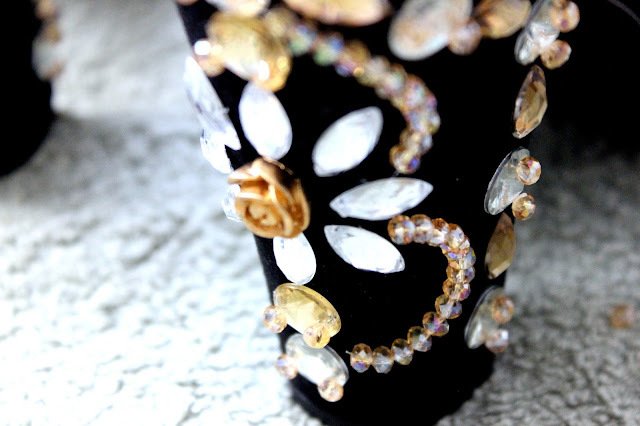 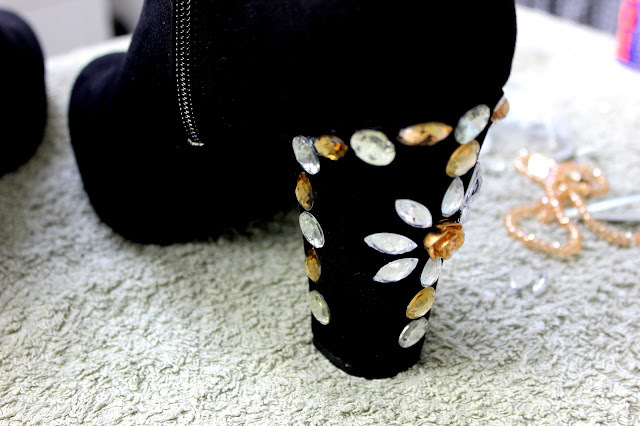 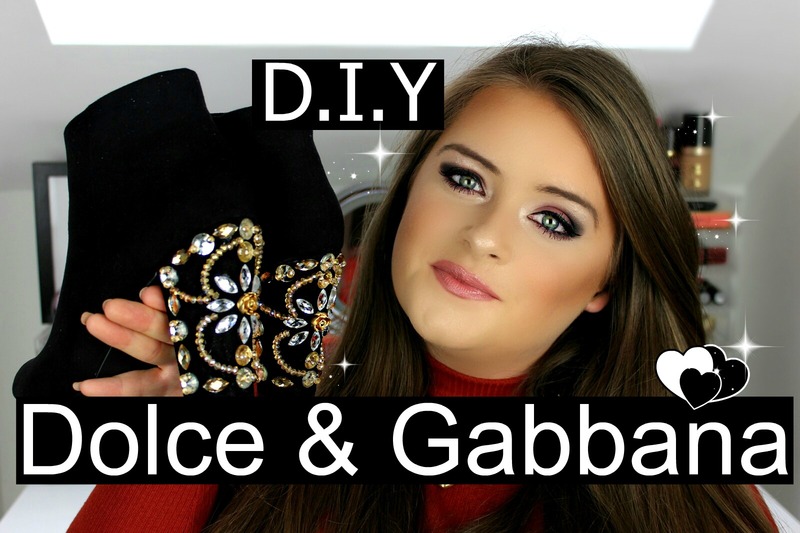 How do you like my DIY take on the Dolce & Gabbana embellished boots? Will you be recreating these boots for yourself?! Love the DIY project. 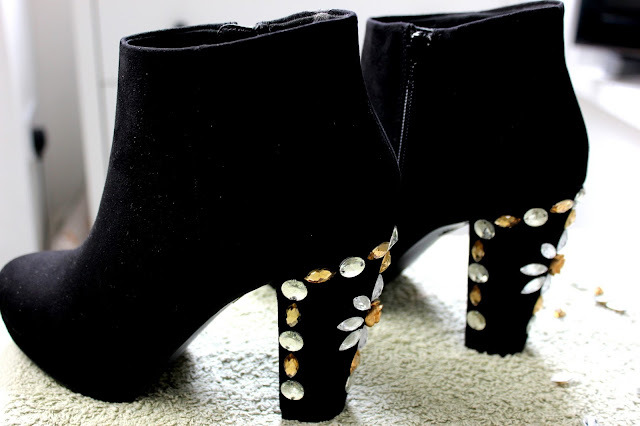 It's is so coo. 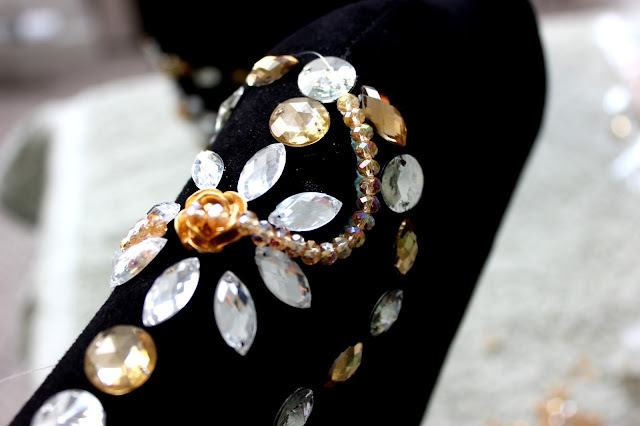 I hope you don'T mind but I will definitely be linking to it in a post of mine as a coll DIY project for spring.